We very much hope you have enjoyed your visit to Ragdale Hall and if you are already contemplating coming back, allow us to tempt you with our special offers for guests wanting to rebook following a visit. To receive any of the above discounts please call our Reservations Department on 01664 433 000 (external) quoting “Return Offer”. *Bookings must be made and confirmed with the relevant deposit or pre-payment within one month of your departure. These offers only apply to overnight guests booking overnight breaks and day guests booking spa days but may be used as an incentive to bring new guests to Ragdale with you. (Terms and conditions apply). 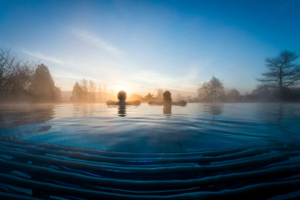 Discounts are applicable to packages within our Guide to Spa Breaks and Spa Day Packages (excludes Twilight Taster and Ragdale Experience, Luxury and Ultimate Days) and cannot be used in conjunction with any special offers or promotions.